Call 585-326-1363 to schedule your first appointment. If you're looking at hearing aids in Batavia, NY, discover and experience the Miracle-Ear® advantage. Hearing aids have come a long way since the days when people used ear trumpets to hear better. The first modern hearing aid was only invented at the end of the 19th century and it was, like many that came after, pretty bulky. Today, the more than 36 million Americans who suffer from hearing issues* can get a highly sophisticated and unobtrusive digital hearing aid from us. If you think you've experienced hearing loss, the best way to make sure is by getting a hearing test at your nearest Miracle-Ear center. Starting at your first visit, you'll experience the customized service and care that we're famous for. Amazingly enough, our new GENIUS™ Technology may actually help you hear better than people with normal hearing. There are a number of special features that make GENIUS™ Technology effective. Its features, which include Directional Focus, Wireless Windscreen, and VoiceTarget™ 360, will work together to help you focus on specific conversations or whatever else you want to hear. With more than 1300 locations nationwide, Miracle-Ear is America's most recognized brand of hearing aids. Our hearing aid center in Batavia is just one of many where experienced hearing care specialists can improve your quality of life through a new hearing aid. Service doesn't end with the purchase of a hearing aid, though; we also offer complimentary hearing aid repairs and lifetime checkups. Call us today to schedule a free hearing test**. Debbie is the Franchise owner with 30 years of experience as part of the Miracle-Ear family. She has been a franchise owner for 15 of her 30 years with Miracle-Ear & currently owns 9 locations in the Western New York area. 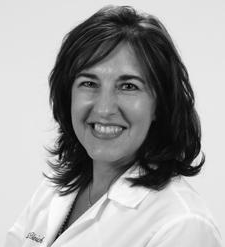 Debbie is a fully Accredited Hearing Instrument Specialist in NY & PA. She is Board Certified (BC-HIS) & an Audioprothologist (ACA). In addition, she has been a member of the International Hearing Society for over 8 years and is certified to hold and teach classes on Infection Control & NYS Laws which are recognized as worth 3 Continuing Education hours. Debbies favorite part of working at Miracle-Ear is being part of a large organization allows us to have all the latest knowledge and technologies available to us to better help our customers hear and understand better. 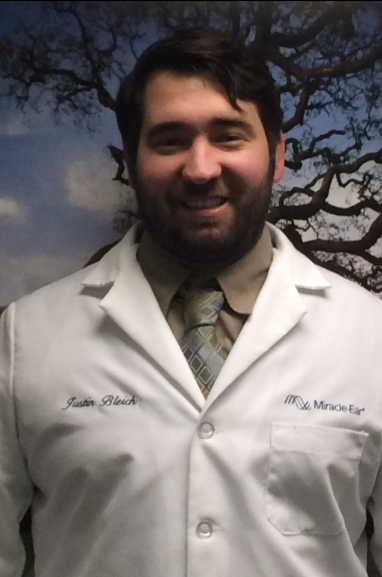 Justin has 13 years of experience working at Miracle-Ear as a hearing aid specialist. Justin's favorite part of working at Miracle-Ear is being able to improve the quality of my customers' lives. He is fully credentialed by the State of New York and has over 500 hours of additional training in my field.